Take care of a ring-tailed baby lemur in this cute animal makeover game! It loves playing in the tropical forests of Madagascar, but it's quite clumsy. Help the little primate and free it from the branches, clean its fur and feed it to make it happy again. Then it's time to show your styling skills and dress up the cute creature for a party with its friends! Change its fur color, add some adorable accessories and put together an outfit you like best. The other animals will love it! 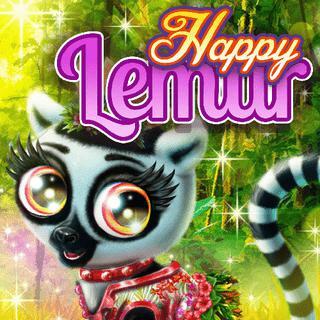 Happy Lemur - Find Happy Lemur in our vast HTML5 games catalogue. Only the best and newest HTML5 games for all audiences. Guaranteed success with Famobi.